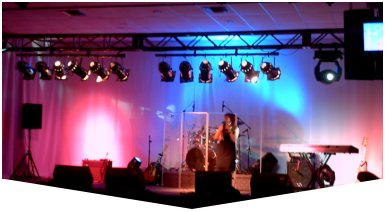 Need a Small Stage Rental Davie for an upcoming event that you are planning? Look no further than our reputable event-planning company, Master Sound Productions. We have been in business since 1996, and have since then gained a stellar reputation that we work hard to maintain. We aim for 100% customer satisfaction, so if you are happy so are we! 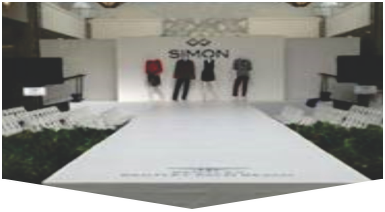 We carry stages for all types of events, small or large, indoor or outdoor. If you don't see a stage that you like we will be happy to have one customized for you. Our team of experts will deliver the stage to your location, set it up for you, and break it down at the end of your event. We will stay at your event the entire time, to make sure that your day run smoothly. Small Stage Rental Davie service from Master Sound Productions will really impress you! We carry a large selection of rentals including stages. We have lighting, visual, and audio equipment, as well as backline, speakers, fabric, dance floors, DJ services, and much more! Our event planning experts will get any equipment that you need to your venue. Regardless of whether you are planning a concert, festival, wedding, BBQ, corporate event, or kids party, we got you fully covered! You will be very pleased with our event planning services and rentals, so do not hesitate to contact us. Our professional technicians will really impress you. They will help you choose the right equipment for your event and have it delivered to your property. They will set it up for you and break it down when your event has finished. 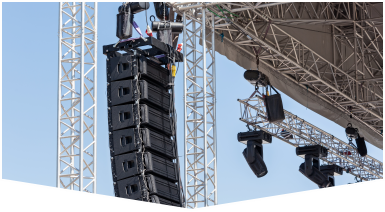 We are a JBL and DAS certified retailer, so we have a large selection of stages available for you. Schedule your free consultation with us a soon as possible. You will not regret it!